Bevin Alexander is a master... THE master... at explaining key historical events and highlighting nuggets of wisdom that we can use in for our own strategic purposes. 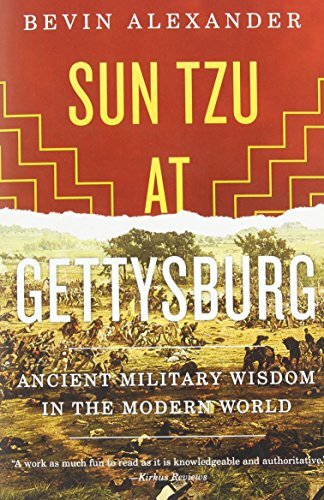 Sun Tzu at Gettysbug examines battles from the American Revolution and Civil War as well as the first and second world wars focusing on the key decisions -- both well and poorly made -- that shape our world even today. I highly recommend the book for those interested in strategic thinking and decision-making. 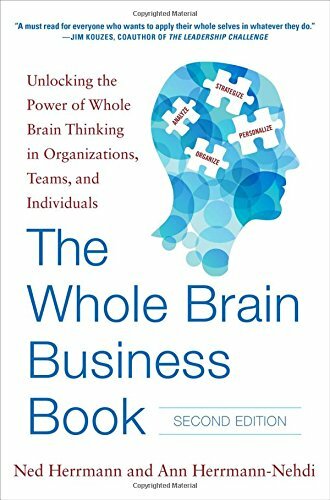 I highly recommend Ann Herrmann's The While Brain Business Book, a revision of Ned Herrmann’s classic book from the world of Cognitive Psychology and Personality Theory. 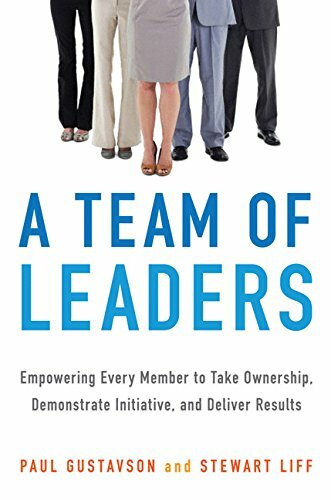 If you are interested in learning history and applying what you learn to improving strategic decision-making in your organization, Bevin Alexander is your go-to author. 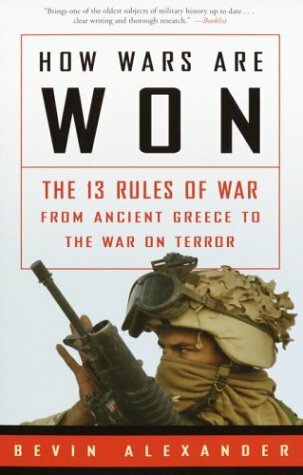 How Wars Are Won provides an up-to-date review of Alexander's thoughts and insight, since it includes an overview of insurgency strategy as relates to present day battles with terrorism. Interested in improving business results? The Behavior Breakthrough provides useful and proven methods for applying knowledge from the world of Psychology to your more practical concerns. 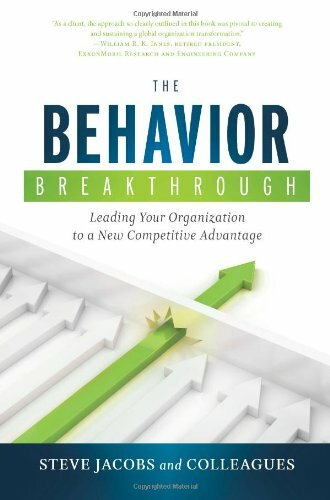 Steve Jacobs, my good friend since our days at Harvard’s Department of Psychology and Social Relations, recently released The Behavior Breakthrough. The book provides the latest thinking from the perspective of Psychology called "behavioral analysis". I highly recommend it. Stew Liff is the preeminent author and consultant when it comes to the strategic design of governmental organizations. In this book. 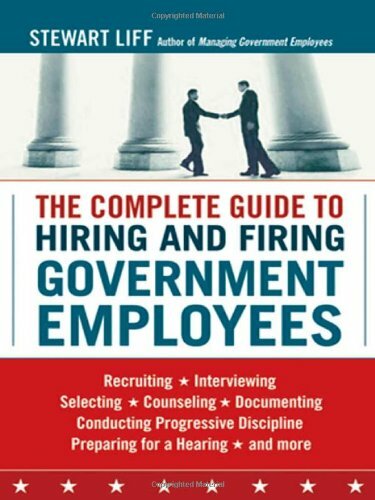 Stew provides a masterful look at the unique human resource issues faced by leaders in the realm of government, and includes a number of useful suggestions on exactly how to get things done in such a difficult organizational environment. I have often been asked what book I would suggest to someone wanting an introduction to the world of strategy. This is always the book I suggest. 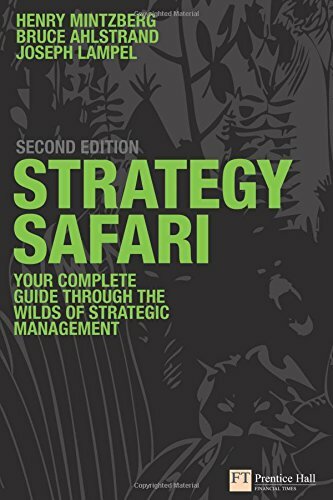 The eminent strategist Henry Mintzberg and his associates, Ahlstrand and Lampel, do a masterful job of explaining, in plain language, the various approaches to strategy. My favorite section is the authors' treatment of Michael Porter's "Positioning School" of strategic thought. You can almost taste Mintzberg's poor regard for such a deliberate and plodding approach, which stands antithetical to Mintzberg's own bent to strategy: the Emergent Approach. 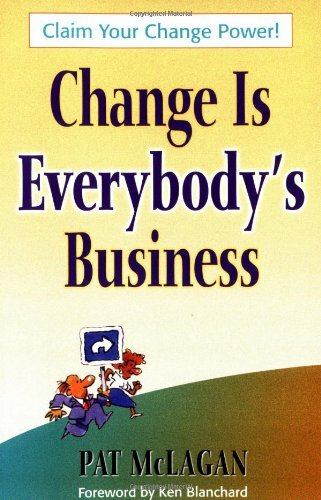 Change is Everybody's Buiness is Pat McLagan's outstanding introduction to the art and scinece of organizzational change management. It remains the best book I've seen on the topic. THe book contains useful steps and techniques for getting an organization on board with the strategic intent and operational plans of companies in today''s fast changing competitive environment. In America, organizations spend $175 billion in training initiatives and more than $500 billion in human resource solutions every year yet often have little to show for it. One reason is that people “jump to solutions” before they identify the causes of the problem. 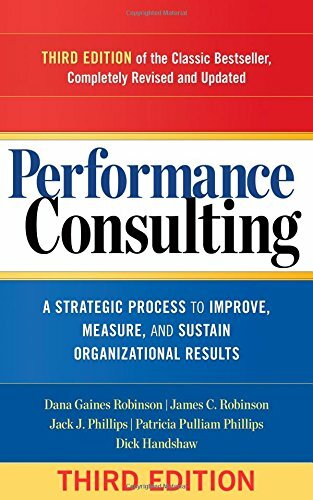 Performance consultants are effective because they partner with clients to clarify business goals and determine root causes for gaps between desired and current results. Only then are specific solutions agreed upon and implemented.